t’s another demonstration of the power of Big Data – of mining a huge batch of statistics to see patterns of behaviour that were simply not apparent before. Kroodsma’s team looked at the data from 2012 to 2016. It encompasses the messages from over 70,000 vessels. That’s far too many boats and too much data for individuals to comb through. So, the team has trained algorithms to do the work instead – to recognise in the movement of the vessels behaviours such as whether they actually have gear in the water and what sort of gear that might be. Nets or longlines, for example. 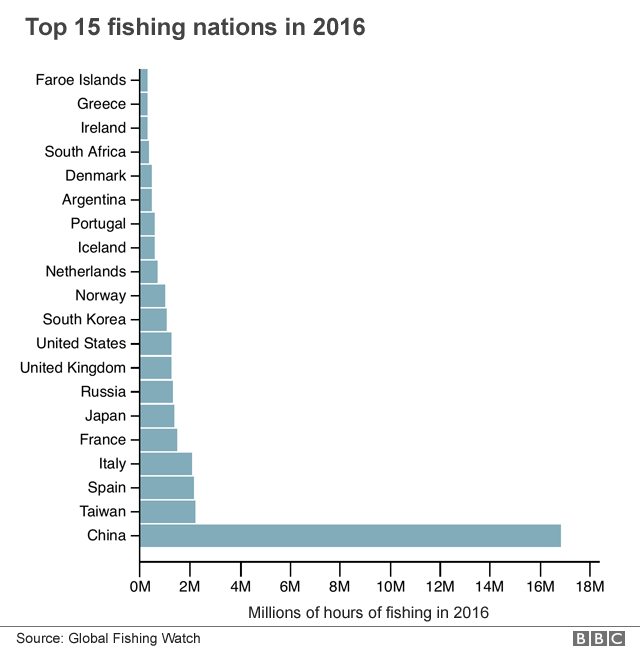 Remarkably, it is the fleets from just five countries (China, Spain, Taiwan, Japan, and South Korea) that account for more than 85% of observed fishing effort on the high seas, ie away from their exclusive economic zones. In that time, vessels consumed 20 billion kilowatt hours of energy and travelled a total of more than 460 million kilometres. That’s 600 times the distance to the Moon and back. Longline fishing in the open ocean, for species such as tuna, shark and billfish, was the most widespread activity globally, detected in 45% of the ocean. “What’s most exciting is what comes next,” says David Kroodsma. “We can now ask questions that we have the data to answer. Where are different species at risk because of bycatch? 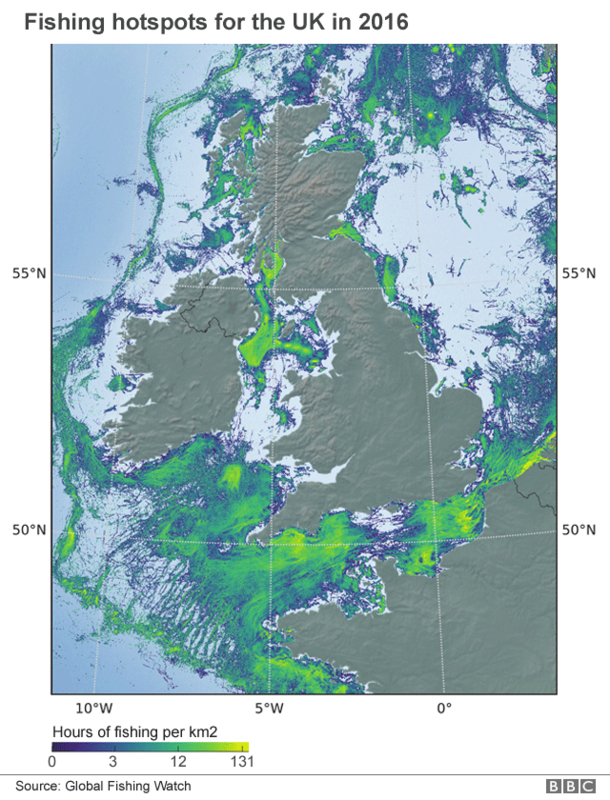 Because you can now see the overlap between species’ ranges and fishing effort. “Or, how do subsidies affect fishing? Or, do fisherman respond more to [fuel] prices than to some type of regulation? What the team has produced is not a complete picture simply because AIS is not on every boat. The smallest vessels do not have to carry it, and of course for those that do – but wish to hide their illegal activity – they can switch it off. But the analysis captures the majority of activity, and on the high seas, where only the largest vessels operate, it is probably missing very little. Commenting on the study, Elvira Poloczanska, from the Alfred Wegener Institute in Bremerhaven, Germany, said AIS had become a powerful new tool. 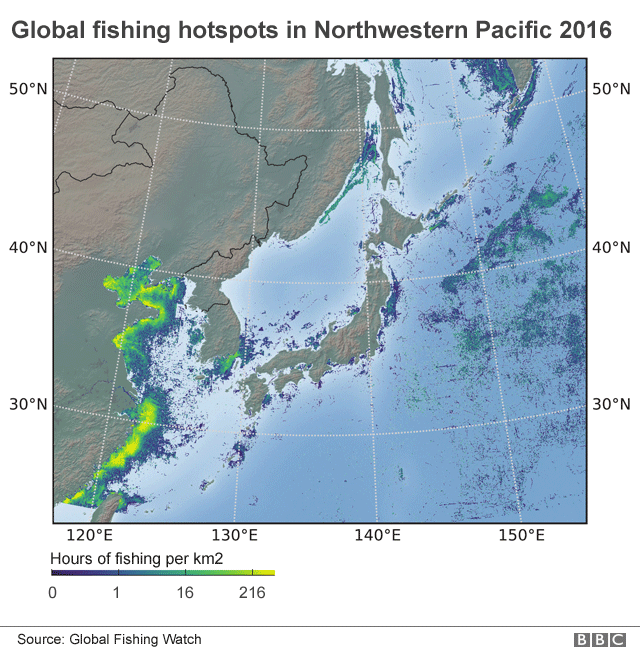 “Emerging applications of AIS data include fleet and cargo tracking, national fishing fleet monitoring, and maritime security,” she told Science Magazine. 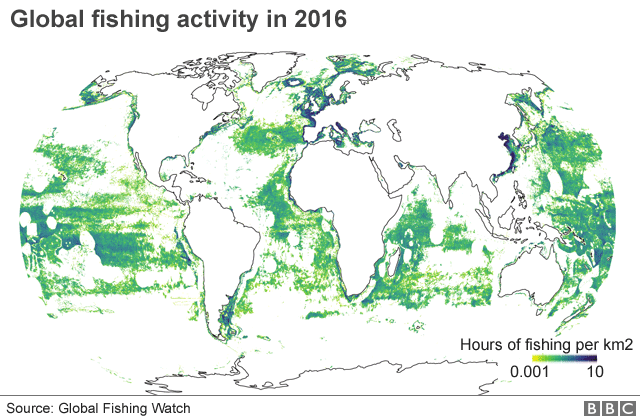 Global Fishing Watch has all the data from the study available for download. It can also be accessed through the Google Earth Engine.